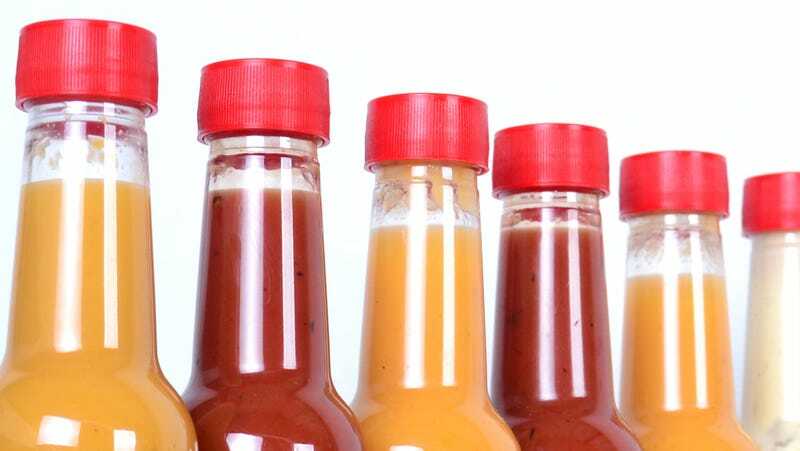 On Monday, Pasco County, Florida deputies arrested a 41-year-old woman on a charge of domestic battery after, they allege, she popped some hot sauce into her husband’s eyes. Threw? Like a fistful of hot sauce, thrown through the air? Or poured, like poured? A few or many drops of hot sauce in the eyes? And by drops, was it administered like Visine? Are we talking Sriracha? Unicorn Tears? Tabasco? Cholula? Can we assume it was a pretty mild hot sauce, as there are no reports of the man running screaming into Tampa Bay, begging for relief? He may not have taken off in a cyclone of pain, but he was transported to the hospital. Deputies say that Lopez admitted to the argument but denied the assault. Mild or not, I think it’s safe to say that all hot sauce is hot hot sauce when it’s seeping into your eyeball.